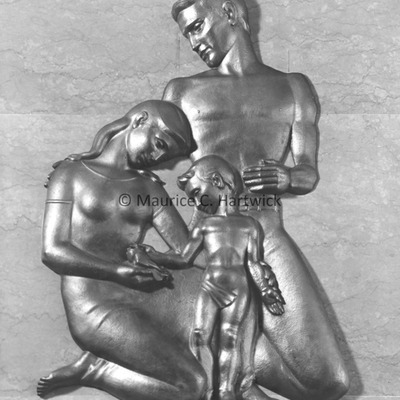 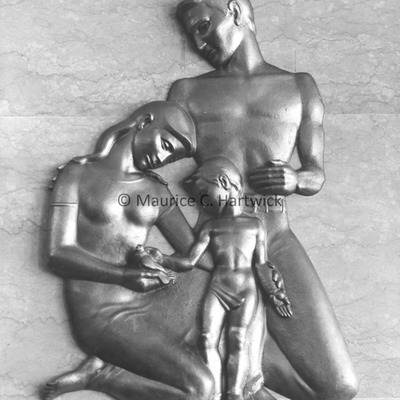 Close-up of bronze "A Father and Mother Teaching a Lesson in Charity"
Part of the "Family and Justice Reliefs," five scenes in fourteen courtrooms, City-County Building (now the Coleman A. 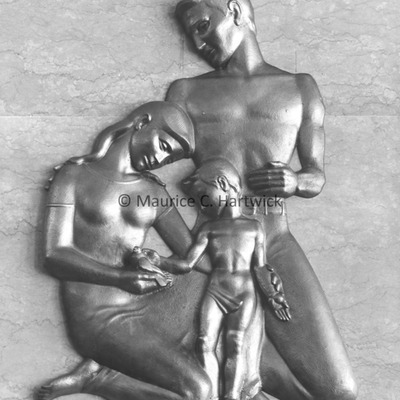 Young Municipal Center), Detroit. 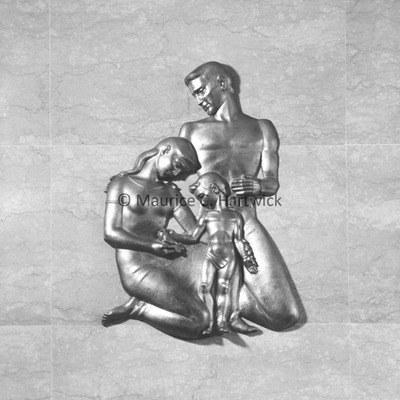 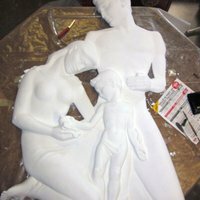 "Family and Justice Reliefs" - bronze "A Father and Mother Teaching a Lesson in Charity"
Bronze "A Father and Mother Teaching a Lesson in Charity"
"A Father and Mother Teaching a Lesson in Charity"